The Finnish Film Affair is a new initiative of the Helsinki International Film Festival – Love & Anarchy showcasing the latest Finnish feature films to international industry professionals. 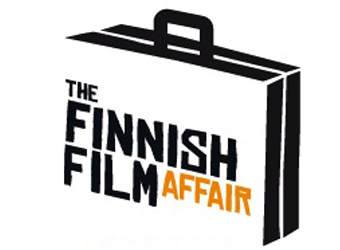 The first edition of the Finnish Film Affair took place in September 2012. The second Finnish Film Affair will be held from the 24th to 26th September 2013. Attending sales agents, distributors, TV buyers, festival programmers and representatives of the press have an opportunity to get to know to the latest Finnish feature films and documentaries. The programming focus will be put on about 30 titles of some of the most exiting latest and upcoming films with a wide range of genres. In addition the film export association FAVEX will host a works in progress showcase presenting about ten productions in development. The line-up of projects will be announced mid-August. Besides the Finnish titles, the participants have a chance to see recent Russian, Estonian and Nordic films featured in the festival programme. The Finnish Film Affair is an initiative of the Helsinki International Film Festival – Love & Anarchy organized with partners such as Favex – the Finnish Film & Audiovisual Export, the Finnish Film Foundation, Media Desk Finland, the Central Organisation of Finnish Film Producers SEK, Finland Film Commission and with the support of the Ministry of Education and Culture and the Ministry for Foreign Affairs of Finland.